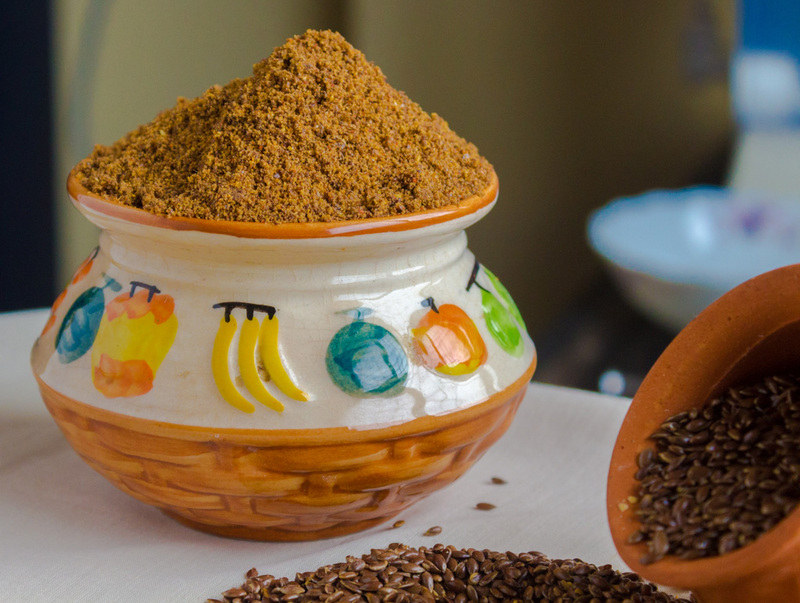 When I began writing this post, I intended to start with writing about Flax seeds as not much is known about this superfood. However I soon figured out that a write-up on flax plant, fiber and seeds could not be constricted in few lines and would require a separate post. This has prompted me to split up the original write-up into two posts, and keep this post narrowed down to the culinary usage of Flax. I, sometime next week, intend to allocate a separate write-up that will discuss about flax plant and its products. Flax seeds is popularly known as Jawas in Maharashtra and Alsi in Hindi speaking belt of India. Owing to the high presence of essential nutrients, omega 3 fatty acid, dietary fibers and lignan it has been attributed with the tag of superfood. Besides its obvious health importance, its mildly nutty and earthy flavor and aroma are the reasons for the high culinary usage of flax seeds. Flax seeds can be added to cookies, breads, muffins and also as a lesser known egg replacement alternative for vegetarians. 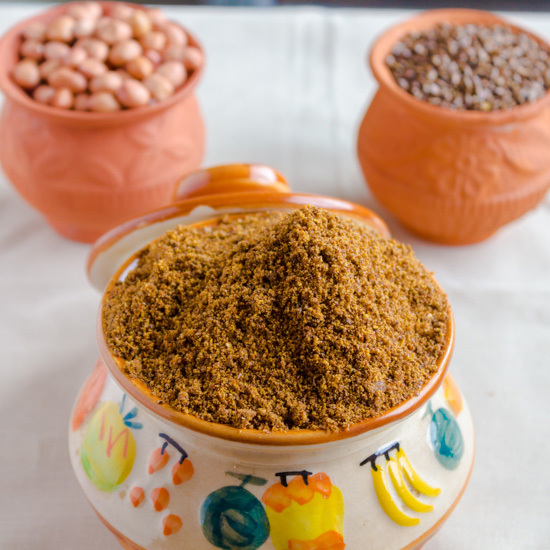 In Indian cuisine these seeds finds its usage in ladoos, parathas and chutneys. 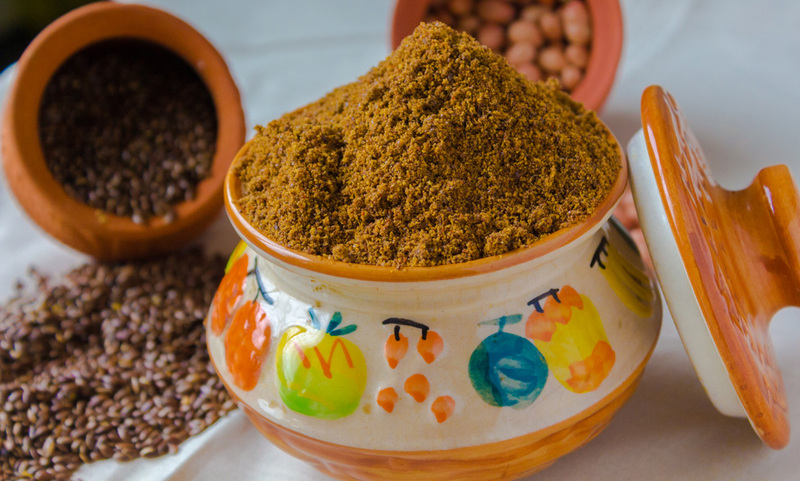 Jawasachi Chatni is a very popular rustic Maharashtrian dish that makes for a delicious accompaniment with Bhakri or Chapati. To start with flax seeds are dry roasted in a pan until it releases a nutty aroma and there is a visible change in color of seeds. It may take some time, as it makes sense to roast these seeds in batches. Roasted seeds can then be combined with roasted skinless peanuts (personal preference, you may choose to retain the skin), garlic, salt and red chili powder for the extra zing. This chutney retains its nutrient value, taste and aroma for up to a week when kept in an air tight container. I prefer grinding a fresh batch of chutney every week and include it as an accompaniment in my diet. Let’s go through the chutney recipe now. Here’s a list of some appetizing accompaniments for you. In a hot pan, dry roast flax seeds in batches.Cover the pan with a lid while dry roasting.In 2-3 minutes, flax seeds change its color.Take the seeds off the flame and roast other batches. After dry roasting flax seeds, we will roast peanuts.We will dry roast peanuts until it turns light brown. Remove peanuts from the pan and peel off its skin. In a grinder jar, put roasted flax seeds,roasted peanuts, red chili powder and salt to taste. Grind all the ingredients without making use of water. Now add garlic. Jawasachi Chatni is ready. This chatni is amazing i am so gonna try it out. Cheers! How do i add garlic? Crushed? Paste? Hey Ananya thanks for stopping by and posting your query! Please add garlic in grinder once you grind roasted flax seeds,roasted peanuts, red chili powder and salt to taste.Just grind them all without adding water .You can watch our recipe video embedded at the end of the post. Keep reading, enjoy cooking!